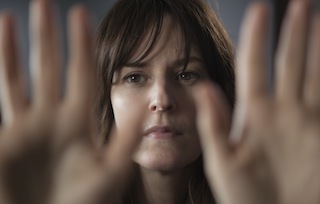 Prior to last year, Rosemarie DeWitt was best known as Don Draper’s ex-mistress on “Mad Men” and as the titular character in Jonathan Demme’s Oscar-nominated “Rachel Getting Married. 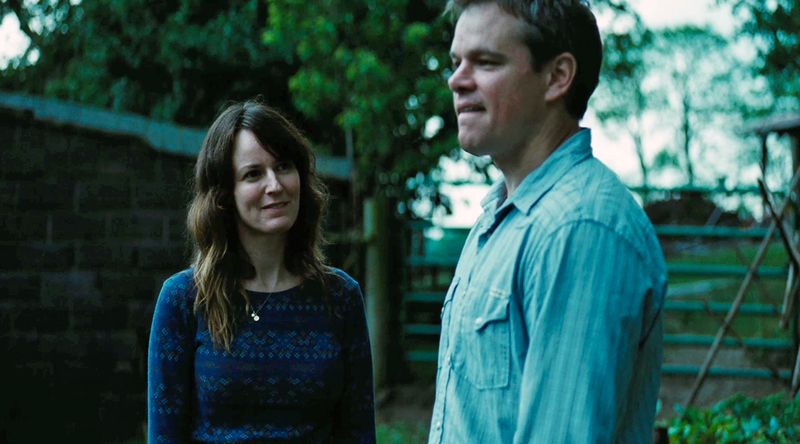 In 2012, the actress had what was arguably her highest-profile year to date by appearing in a whopping five features including Lynn Shelton’s improvised comedy “Your Sister’s Sister” (which recently surprised at the Gotham Award by picking up Best Ensemble over “Moonrise Kingdom” and “Silver Linings Playbook”) and Gus Van Sant’s fracking drama “Promised Land” (which opens wide this Friday after opening in select theaters late last year). Her 2013 is shaping up nicely too, with her second Shelton film “Touchy Feely,” set to world premiere at this month’s Sundance Film Festival. How would you characterize this year? Would you say it’s been your best yet, careerwise? It’s so funny because for me what’s amazing is doing the job. You know what I mean? It’s great to see the movie when it comes out. But for me, where the experience lives is when we shoot. I feel lucky that there’s been this bounty of work and that the flow has continued. But to me, it doesn’t feel encapsulated in this year. The last few years have been good. I’ve gotten to work with some really talented writers and directors and actors. That’s really exciting. It does ruin you a little bit, because you then want to keep working with people on that level all of the time. Those are always the gets. It’s like “Promised Land”… what a crew to work with! But yeah, it’s been a good couple of years. How did you get on Gus Van Sant’s radar? Was it John Krasinski who brought you on board following your work together in “Nobody Walks”? We joke that it was Emily Blunt [Krasinski’s wife], since we worked together before. But I think it was Francine Maisler, the casting director. I had come close… she had brought me in for various projects over the years and we got really close. I think initially the character was conceived a bit younger. Francine told me not to pay attention to that and just make a tape. I was in North Carolina at the time — my husband was doing a movie there — and they said, “The only thing is that you have to do is send it to Gus today.” So I just read the script all day and when my husband wrapped at two in the morning, we were in a hotel room with a flip camera making a tape for Gus. And then I guess from the tapes he saw a bunch of girls. I met with Matt and we shot in a bar at 9 am for a screen test. You know what Gus did that was really cool? He then took all the auditions and edited them together like a film for the studio. I think that always helps you get the job — when you have his fingertips on your audition tape. It’s so bewildering to hear that Gus had to sell you to the studio. I think they have to sell everybody. I mean there’s so much on the line, especially with the economy, raising money for film. Unless you’re someone they know, that the audience is going to come see, then it’s all a gamble. I just figured someone like Gus had carte blanche to cast whomever he wants. I think it’s easier to get jobs with those guys, because they’ve earned the right to cast who they want. So I think the studios give them more leeway. About fracking: did you know anything about it before taking this on? A little bit, but I felt I learned a lot working on this movie. The thing I learned the most was just how complicated the issue was. And going to shoot in Pittsburg, you really felt that. There were people showing up on set, local people, who said “Don’t make a movie that says it’s bad, ’cause we need this.” And we felt that they needed it. Then I was even more proud to be a part of this movie, because it’s great to be something that starts a conversation. Like you asked, “Do you know anything about it?” A lot of people don’t know anything about it. And even though I know that the movie isn’t about that, they can take any topical issue and put it at the center — it’s one man and his journey of how to become part of a community — I was really happy that people will get to learn about fracking, because it is a tremendous resource. The film makes a good case for that. Did you really ingrain yourself into that community to prep? Well, the shoot was only 30 days. You know what it was — I guess people had heard of the movie before we started to shoot, and they wanted to be heard. No matter where they stood on the issue, they wanted their voices heard, so they showed up on set.How did that factor impact your performance? It’s tricky. On a movie like this there’s not a lot of research to do. It was more about, for me, thinking about where I’m from and what would have happened if I left and came back — and what my life would be. I really like that Alice [DeWitt’s character in the film] introduced the idea of stewardship in the movie, like when Steve [Matt Damon’s character] says “You’re teaching the kids how to farm?” and she says, “No, I’m teaching them how to take care of something.” I feel lucky to be an actor because you always learn something from each part you play. It was nice for me to take the tint my own life. You think you know what that means and then you get to embody it. Then you feel differently as you plant trees or renovate your kitchen. You do it with a different degree of consciousness. Taking a break from what the film’s really about — what was it like being the object of affection for both Matt and John? I’m guessing the job must have come easy. Yeah, it was easy (laughs). There was one day toward the end of shooting where we did the classroom scene where Dustin [Krasinski’s character] comes to talk to the kids. Gus does sometimes get like a mischievous kid on set. He comes over and he says to John (Matt was there ’cause they’re the writers and producers), “Just give her a kiss on the lips at the end of the scene and see if Matt notices.” But of course when we’re going play a joke on someone I get a giddy — like I almost can’t do the take. Matt is such a team player and he’s so egoless. We did it about four times and Matt didn’t say, “Why is his character kissing her? That’s not in the script!” Finally Gus comes over and asks Matt, “So what did you think about the kiss?” And he’s like, “I don’t know! I thought that’s one way you could try it, but I trust you.” That’s kind of the way the whole thing was. You could try anything and see what the movie should be. That’s great to hear, because in my mind acting opposite the film’s two writers sounds nerve-racking. A teeny bit. The very first day I felt: I don’t want to screw up their words. But no, they just wanted it to be good. I think they valued what everything brought to it. Moving on briefly to “Touchy Feely,” your second film with Lynn Shelton following “Your Sister’s Sister.” How do the two films differ? It’s really about healers and what happens when people are in need of healing. It’s very subtle. With “Your Sister’s Sister” and “Humpday,” it was all based on this wild, wacky premise that people all found our way through. This is way more subtle about the ways in which we heal and where we find healing. Alison [Janney] is just so good in it (laughs). I saw it. You know, you’ve seen her play some really strong women like on “The West Wing,” and she’s just Earth Mother in this. How did the experience compare to shooting the last film with Lynn? It’s so different. For one thing, there’s no real lead. But unlike “Your Sister’s Sister,” it wasn’t just three of us in a room. There’s a lot more going on. You just kind of came in for a little bit then came away. When I saw the movie, I was like, “Oh, this is what the movie was about!” It was different in that it wasn’t improvised. Lynn said she had fun working with Emily Blunt. There were a couple scenes in “Your Sister’s Sister,” where we said to Lynn, “We know that you said we didn’t have to say this from the outline, but the words are good.” In not having to figure out what the scene was through the improvisation, she got to focus more on the filmmaker side of things. There are some outer body experiences in it, where she really got to play with the camera. I think that was fun for her. But that was very different.